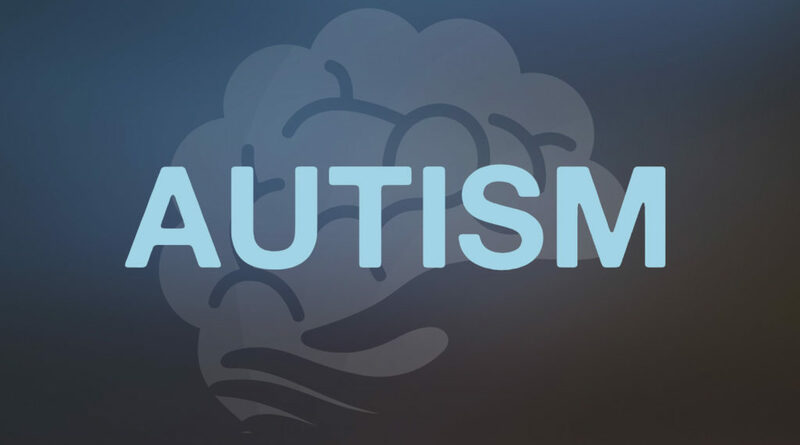 Autism spectrum disorder (ASD) and autism are both general terms for a group of complex disorders of brain development ( a spectrum disorder means there is a wide variation in how the disorder affects people). These disorders are characterized, in varying degrees, by difficulties in social interaction, verbal and nonverbal communication and repetitive behaviors. All autism disorders were once recognized as distinct subtypes, including autistic disorder, childhood disintegrative disorder, pervasive developmental disorder-not otherwise specified (PDD-NOS) and Asperger’s syndrome. However, with the May 2013 publication of the DSM-5 diagnostic manual, all autism disorders were merged into one umbrella diagnosis of ASD. Click here to check out Different Brains’ podcast for women with autism, Spectrumly Speaking, co-hosted by Becca Lory! The US Autism & Asperger Association (USAAA, http://www.usautism.org/about_us.htm) is a nonprofit organization for autism and Asperger education, support and solutions. Since 1995, the USAAA has been improving the quality of life of individuals affected by autism, Asperger’s and other related disorders. In the summer of 2005, Special Abilities evolved into the USAAA with a mission to provide the opportunity for everyone living with autism, Asperger’s and other related disorders to achieve their fullest potential, by enriching these communities with education, training and accessible resources. Founded in 2005, Autism Speaks https://www.autismspeaks.org/what-autism/asperger-syndrome is dedicated to funding global biomedical research into the causes, prevention, treatments and a possible cure for autism. The organization strives to raise public awareness about autism and its effects on individuals, families, and society, and works to bring hope to all who deal with the hardships of this disorder. It also aims to bring the autism community together as one voice to urge the government and private sector to take action to address this global health crisis. The Asperger/Autism Network (AANE, http://www.aane.org) was one of the first Asperger’s syndrome organizations in the U.S.. It was founded in 1996 as the Asperger’s Association of New England by a small group of concerned parents and professionals, shortly after the diagnosis of Asperger Syndrome (AS) first appeared in the U.S. Diagnostic and Statistical Manual (edition IV). On October 1, 2014, AANE changed its name to the Asperger/Autism Network, keeping the same acronym while evolving to meet changes in the diagnostic environment and to acknowledge our expansive reach beyond New England.AANE’s mission is now to build a national support community by providing education, information and referrals to individuals with AS, their extended families, and the professionals who assist them. The Autism Society http://www.autism-society.org/ was founded in 1965 by Bernard Rimland, Ph.D. His book, Infantile Autism: The Syndrome and Its Implications for a Neural Theory of Behavior, was written in 1964 and was one of the first of its kind. Over the last 50 years, the society has grown from a handful of parents into the leading source of information, research, reference and support on the autism spectrum. The organization has played key roles in legislative efforts such as Section 504, the Developmental Disabilities Act, and the Education for All Handicapped Act. The first national conference on autism was convened by the Autism Society in 1969 and individuals with autism have served on the organization’s Board of Directors and in other key decision-making roles since the 1980s. Today, more than 120,000 members and supporters are connected through a working network of more than 100 affiliates nationwide. The mission of the Autism Support Network (www.autismsupportnetwork.com/) is to provide a shortcut to the uphill battle individuals and families undertake when faced with autism – whether that means the initial diagnosis, the day-to-day living and coping needed, relationship and therapeutic strategies and the latest information. Its support community, which anyone can join, is intended to collectively pool global knowledge and support from all those touched by ASD and to provide a place for those with ASD and those seeking social connection, peer guidance and a feeling of community with those that understand. Autism Empowerment www.autismempowerment.org is devoted to enriching and empowering the lives of children, teens, adults and families in the autism and Asperger communities. The organization offers programs, training and services as well as opportunities for leadership and volunteerism for those within and supporting the Autism and Asperger community. Its goal is an inclusive society that accepts and respects all youth and adults on the autism spectrum and empowers each person to reach their highest potential. Founded in 2011 in Vancouver, WA by a family with a child, teenager and parent diagnosed on the autism spectrum, Autism Empowerment differs from most local and national autism-related organizations because it includes individuals on the autism spectrum in key staff, program development and volunteer roles. The Autism National Committee (AUTCOM. www.autcom.org) is the only autism advocacy organization dedicated to “Social Justice for All Citizens with Autism.” The organization was founded in 1990 to protect and advance the human rights and civil rights of all persons with autism, Pervasive Developmental Disorder, and related differences of communication and behavior. In the face of social policies of devaluation, which are expressed in the practices of segregation, medicalization, and aversive conditioning, the organization asserts that all individuals are created equal. The American Academy of Developmental Medicine and Dentistry (AADMD, https://aadmd.org/ ) provides a forum for healthcare professionals who provide clinical care to people with neurodevelopmental disorders and intellectual disabilities. The AADMD is resolved to assist in reforming healthcare for those with neurodevelopmental disorders, prepare clinicians to face the unique challenges in caring for those with a neurodevelopmental or intellectual disorder, and to establish alliances between visionary advocacy and healthcare organizations for the purpose of achieving better healthcare. The Art of Autism (http://the-art-of-autism.com/) is a non-profit, international collaboration website where people on the Autism spectrum can share their work of art, music, poetry, or video submissions. Parents, siblings, and therapists, or anyone who is interested in the cause can also share their viewpoints. The Kilee Patchell-Evans Autism Research Group (KPEARG, Kpearg.com) was founded at the University of Western Ontario by Dr. Derrick MacFabe and from a generous donation from co-founder David Patchell-Evans. Their overall mandate has been to create an international multi-disciplinary research group whose combined efforts would focus on the development of novel research methods in the study of autism spectrum disorders. The KPEARG holds a key interest in the biological process linking dietary, microbial, and gastrointestinal issues in autism. The role of trillions of bacteria inhabiting the human digestive tract is becoming an emerging field in autism and other chronic diseases. A core focus of theirs is how metabolic products of the gut microbiome control brain function and behavior in autism, and also related neuropsychiatric conditions, such as OCD, anxiety, movement, eating, and learning disorders. They are particularly interested in the role of short fatty acid metabolites of gut bacteria and their role in autism and the development of novel clinical biomarkers and therapies to prevent, identify, screen and treat the disorder.